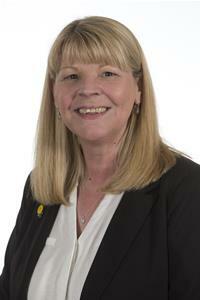 I am honoured to have been elected to represent the Bridges ward and have been a councillor since 2006. It is vitally important that local people have a voice on local issues and I am proud to represent the local community. My family came to Gateshead over 40 years ago and I feel this is very much my home. My daughter attended Kingsmeadow School. She is now a nurse working with premature babies at the RVI. I have three grandchildren and my grandson attended Dryden School. My husband Trevor, is a lecturer and curriculum leader at South Tyneside Marine School. I have been a member of the Labour Party for over thirty years and am a member of the union Unite. I have been a Governor at Eslington Primary School, now Eslington and Furrowfield Schools Federation, for over 15 years. I was elected onto the Cabinet in 2009 and have held the portfolios for Housing and Children and Young People. I currently hold the Portfolio for Culture Sport and Leisure.